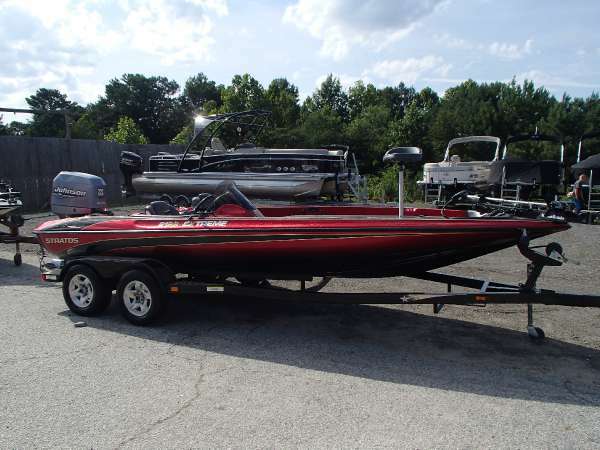 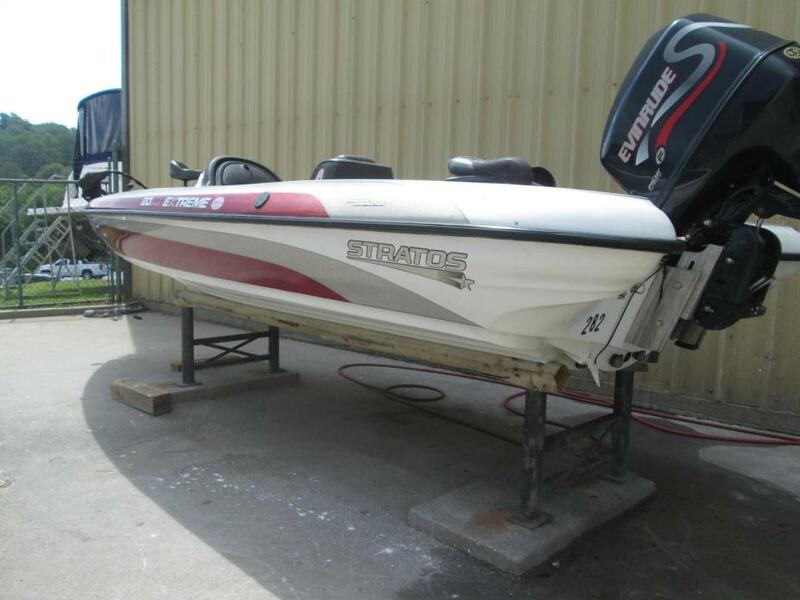 1999 Stratos 21SS EXTREME MOTOR IS JOHNSON 225, INCLUDES HOT FOOT, COVER, RUB RAIL LIGHTS, MINN KOTA MAXXUM 70LB TROLLING MOTOR, LOWRANCE X65, AND A HUMMINBIRD 899 CI HD! 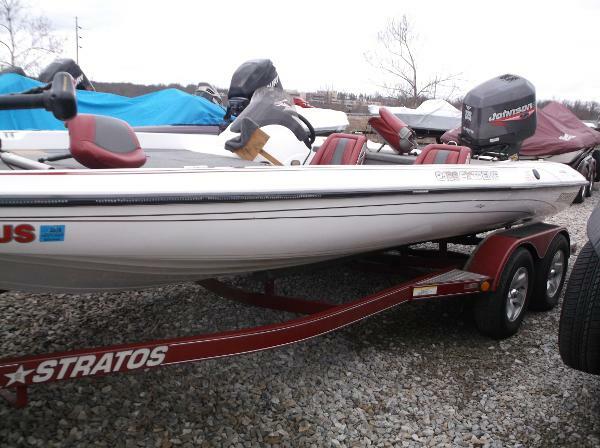 1999 Stratos 21 SS Extreme 1999 21' Stratos 21SS EXTREME Bass Boat This nice bass boat is rigged to fish. 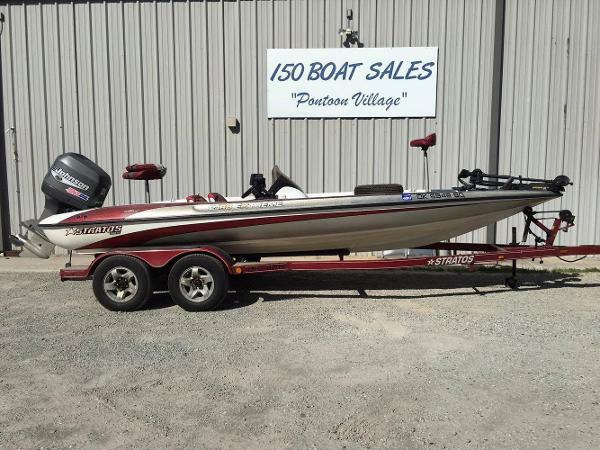 Equipped with a 225hp Johnson engine, you can get to your honey hole in no time! 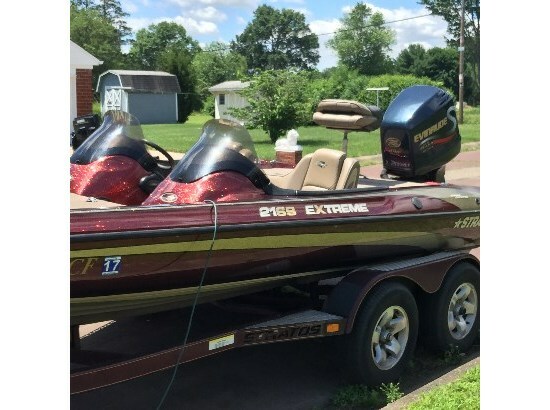 •225HP Johnson Engine with Stainless Steel Prop •21' Tandem Axle Trailer with Spare Tire and Surge Brakes •Lowrance ELITE-7 HDI Locator •Lowrance ELITE-4 Fish Locator •MinnKota 24 Volt 74# Thrust Maxxum 74 Trolling Motor •Teleflex Hot Foot •SeaStar Hydraulic Steering •XPS I-Series 15 Amp 3 Bank Charger •3 - Batteries •Standard Console with Speed, Tach, Trim, Fuel and PSI Gauges •AM/FM/CD Stereo System (non-working) •6" Pro Hi-Jacker Jack Plate •New Marine Grade Carpet •Live Well •Navigation Lights •Tagged Until June 2017 and Ready for the Lake!